This is a curated collection of healing tools I personally love and recommend to all seeking a little extra support and magic. My goddess of all trades helperBrenda makes incredibly healing and cleansing smudge sticks using different medicinal plants depending on your sign, or what you need. Loving my taurus smudge stick to cleanse, ground, and purifying my space, bringing in Venus vibes and peace into my daily practice. My sister Susan is like watermelon on a hot day...bright, refreshing, colorful, watery nourishment. We met when I worked for Stone Fox Bride my first year in New York and have been soul sisters ever since. Susan makes the most incredible jewelry and accessories. All her jewelry is HAND PAINTED with her own two hands with so much love, sacred symbolism, and intention. I am lucky and honored to have two pieces she named after me: the Ash Bag and Ash bracelet, but I think my favorites are Kali Earrings the inspired Kali Ma, goddess of destruction and rebirth, who is a major inspiration for us both. I wear these whenever I need a reminder of the power within my feminine cycles of life and death. Their magic is potent! Julian’s Medicines have been beautifully soothing and supporting my spirit and body throughout this Mars Retrograde/Cancer/Eclipse season. 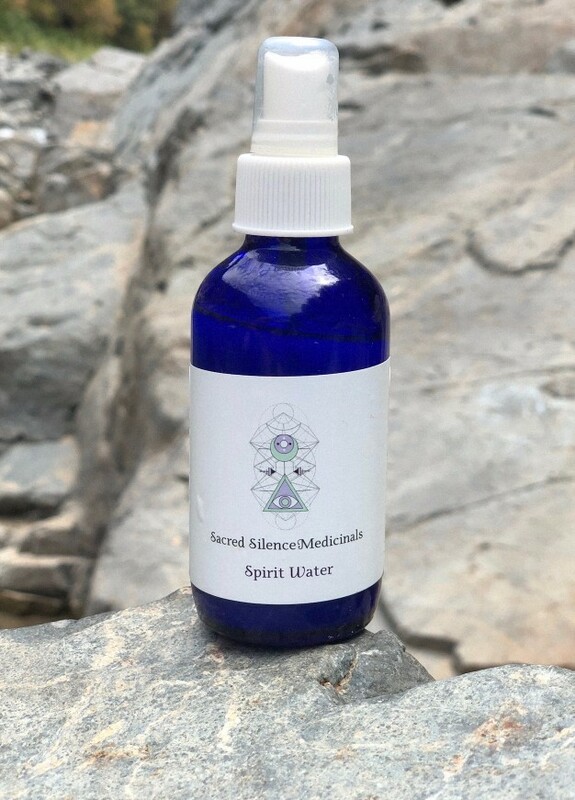 From his Mystic Matcha which is what is allowing me to have the clarity to even write this newsletter right now, to this Spirit Water which is my new favorite ally and aura support, powerfully cleansing, grounding, and balancing calming my whole being. His CBD oils are more grounding and supportive than anything else I have ever tried. Julian is also a highly gifted healer and acupuncturist offering sessions in the NYC area. I cannot recommend his offerings enough and I feel blessed to work with his medicines. I bought my first crystal Comb from Andi from Crown Works this summer and have developed a new nightly ritual. I comb my hair with my rose quartz comb and Andi’s Four Hair Oi leach night while connecting to my heart space. My dreams have actually been gentler, I have been sleeping heavier (both so rare for me as I am a total astral traveler/psychic dreamer and never sleep soundly), and my hair feels nourished after all the summer sun I have been soaking up. Andrew has even been using the oil on his beard and loves it, ha! I have been using my sister Adrienne’s Snake Skin scrub as a healing bathing ritual for a few weeks now and I LOVE it. The plants smell heavenly and the medicine is so potent. Not to mention my skin feels amazing after. I like to put a quarter size amount in my hands, set an intention of what I would like to shed, and work the scrub into the area of the body where I am feeling the shedding needs or wants to take place. Often when I am using it songs of shedding will emerge from my being and subtle sensations will arise. A beautiful ally for Scorpio season made with so much love and intention. I just started working with this essence after feeling really called to it last month and find it is such a beautiful ally for transformation. From Isha’s website she says this essence is good for “when the individual is ready to be “fully seen” and prepare for their trust soul work.” It heightens sensitivities as we expand into new levels of awareness and healing. During my first week of working with it I have had many opportunities surface that allow me to be more seen and share my medicine that ever before and I and moving more intune with my special gifts and sensitivities that I navigate my path with. I also find that it has reconnected me to a deeper, more frequent meditation practice. Flower remedies are my absolute favorite tools for healing and transformation and Isha Lerner’s always are so potent! Highly recommend if this medicine is calling to you. Since I stopped drinking coffee (again) earlier this year, this new find has been an amazing substitute to curb the coffee cravings. So earthy and nourishing! A great ally for stress and overall wellbeing too. Detoxify, heal, nourish. A great ally for winter colds and to detox from holiday treats. You can find this at almost any health food store. The most amazing, grounding scent for your home. My favorite atmosphere mist for traveling to new spaces or when you need a little warm comfort in your own space. Evening Primrose flower essence for deconditioning. Rainbow moonstone to release old emotions and cleanse the spirit to renewal...especially beautiful in a bath or just resting on the heart or solar plexus. Naps on the biotmat. Held off on getting one of these for so long because they are pricy but I caved this month (found one of the cheapest ones on the internet!) and it was the best decision. When we are in a space of healing, our largest organ, the skin often needs way more support and hydration. When I am deep in healing, my skin actually sheds! This is a new favorite body oil from soul sister Adrienne that has been so nourishing for my dry post-energetic purge skin .